Tokyo, November 20, 2012 - Fuji Heavy Industries Ltd. (FHI), the maker of Subaru automobiles, today announced that the all-new Forester will make its North American Debut at the 2012 Los Angeles Auto Show. FHI President & CEO, Yasuyuki Yoshinaga will speak at the press briefing scheduled for 3:40 pm, November 28 at the Subaru booth. 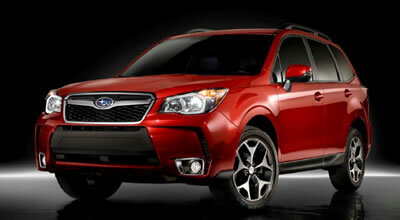 The all-new Forester was developed with the goal to maximize its value as a true SUV. Featuring Subaru's distinctive, renowned symmetrical All-Wheel Drive (AWD) system as its core technology, the fourth generation Forester boasts a higher level of drivability as well as enhanced safety and environmental performance combined with much improved capabilities as an SUV offering fun-to-use versatility and fun-to-travel driving performance. 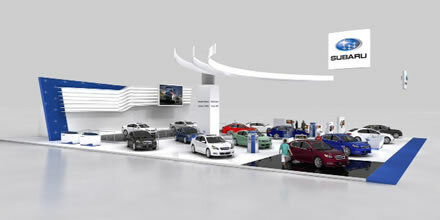 Also on display will be Subaru's technical exhibits that include the all-new Forester cutbody to reveal the vehicle's package and the all-new Forester technology touchscreen to demonstrate the vehicle's technological advantages including Subaru's symmetrical AWD structure and functions.